Advertising on LinkedIn is something you cannot completely ignore in 2018 if your clientele is B2B. LinkedIn is by far and large; considered to be the best platform by most digital marketers for generating quality B2B leads. With about 500 million users on the platform and this figure growing each day, there is so much you can do on LinkedIn to drive traffic and generate good quality leads. According to The Hindu, India currently has the second largest member base on LinkedIn with over 50 million (5 crore) members. And as they say, as a business, you need to be where your prospects are. Besides organic content marketing and networking on the platform, you can also make use of the paid ads feature as a part of your LinkedIn marketing strategy to reach more high- quality prospects. 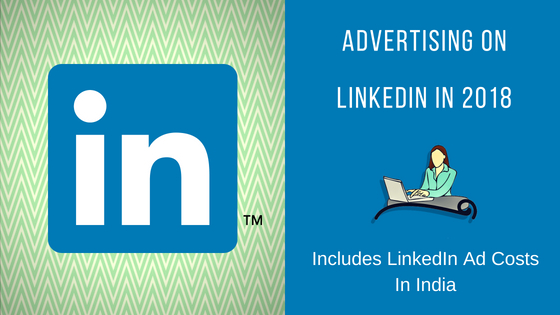 This article aims to equip you with the basic knowledge required to advertise on LinkedIn in 2018 and also gives you a brief idea of how much do LinkedIn Ads cost in India. WHEN TO USE LINKEDIN ADS? Let us first begin with understanding when to use LinkedIn Ads. Given the professional ambience of the platform, not every business will see success on LinkedIn. 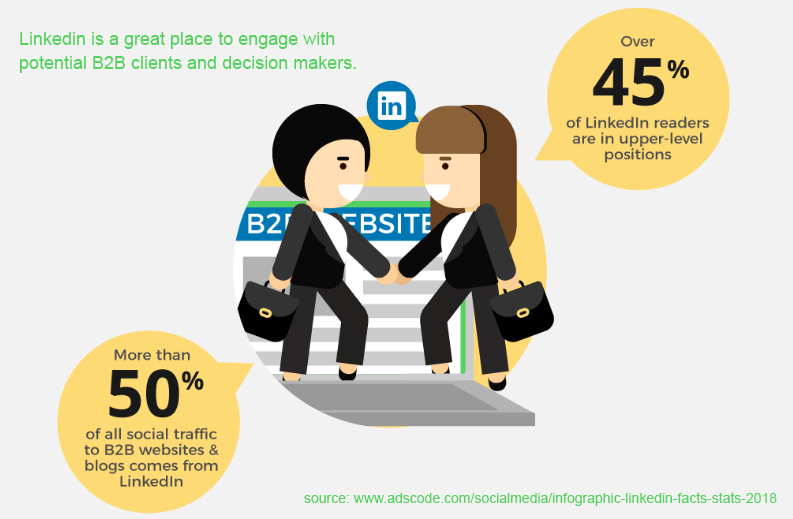 Most people are on LinkedIn for professional networking opportunities. They are either looking for better job opportunities, people to recruit or for connections to grow their business. For this, they put forward their best professional image on LinkedIn. There are great chances your LinkedIn ad campaign; if set up correctly; might get you good success. Some examples of successful ads are ads related to recruitment, professional coaching, seminars to enhance professional skills, advertising for digital marketing services etc. You also need to create your ads keeping the “formal mindset” of the platform in mind. Anything that is too loud creates a feeling of being interrupted in the viewer’s mind. 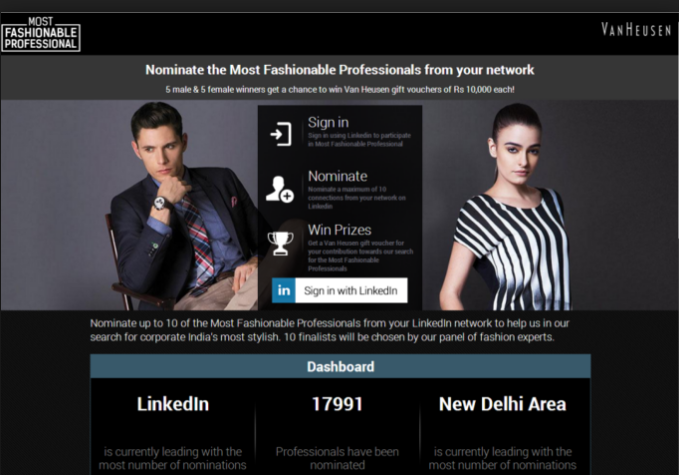 An example of a successful Linked ad campaign is the contest Van Heusen ran on LinkedIn in India. Van Heusen ran a contest on LinkedIn for an entire month which invited entries for the “Most Fashionable Professional”. The goal of this campaign was to gain tangible engagement with a younger audience. This ad reached an audience of about 1.5 million LinkedIn users. There were 29,629 unique visitors. Most of the audience that responded well to the ad were in their late 20’s and senior managers. The goal of spreading brand awareness was achieved and this campaign was also featured in top social media websites and The Hindu. Next, let us understand the basic steps that need to be followed to set up an ad campaign in the “LinkedIn Campaign Manager”. Go to the LinkedIn Ads Page and click on the “Create Ad” button. 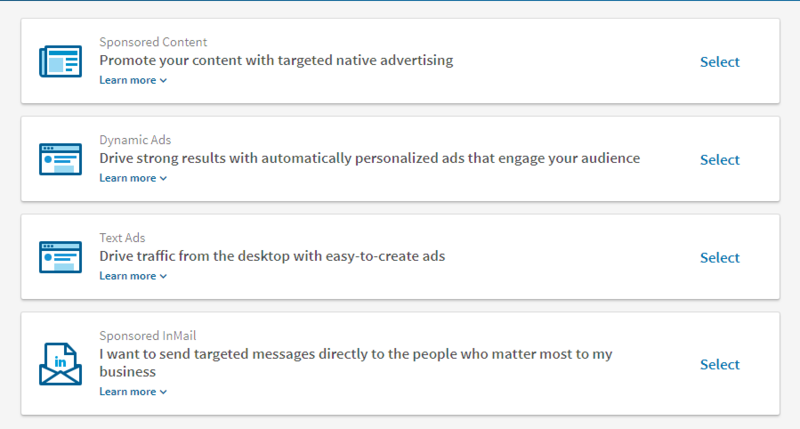 These are the different types of LinkedIn ads you can run using the LinkedIn campaign manager. Let us understand this a little deeper so depending on your campaign goals, you can pick an ad which fits best. Sponsored Content is a regular LinkedIn post that is shown in the feed of those members who are following the company or meet the target audience requirements of the advertiser. Well-known names like HubSpot have used sponsored content to generate high- quality leads. Sponsored content campaigns help in increasing the number of your company page followers. LinkedIn Ad Specifications for sponsored content. LinkedIn Dynamic Ads are a great way to target a specific audience with customizable ad creatives. It is a fine way to offer a personalized experience of your brand to different types of prospects while laser targeting. Text ad campaigns are easy to set up and manage. These are similar to text ad campaigns that are run on Google/ Bing. These ads are available in different sizes and you can create many variations of your ad to target different sets of your audience. This a feature similar to email marketing where you can send LinkedIn inbox messages to your target audience. This email also features the prospect’s name to add a personal touch. You can purchase these messages on the basis of each message delivered when the member is online. Choose a name for your campaign. 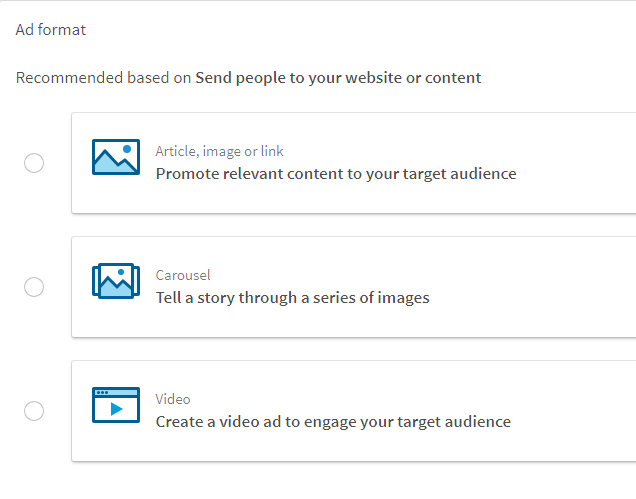 In this window, select what you aim to achieve with your LinkedIn ad campaign from the three campaign goals as shown below and click on next. The video and carousel ad formats have been introduced by LinkedIn in the year 2018. Unless you nail targeting your audience, your ads campaigns might not be that effective in giving you the results you desire. To target your audience select the location(s) you wish to target. 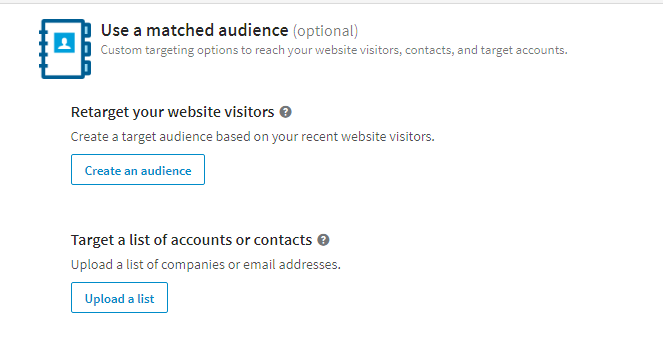 Just like how Facebook has the custom audience feature, Twitter has the tailored audience feature, LinkedIn has the Matched Audience Feature to help you select your proper target audience. Upload a CSV file with the list of companies you want to target. 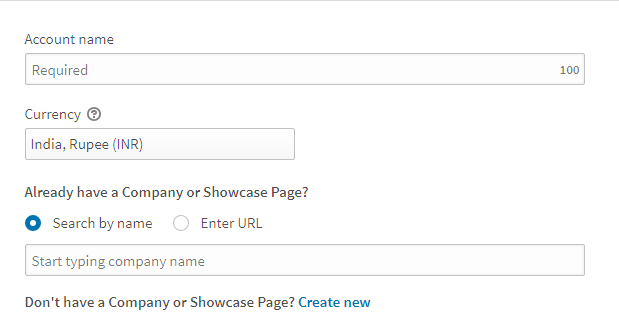 LinkedIn in will then show your ads to the employees of those companies who have accounts on LinkedIn. This way your ad can be viewed by key decision makers in those companies too. You can upload a list of email addresses and LinkedIn will find if those people are members of LinkedIn and show your ads to them. You can upload a list of minimum 300 and a maximum of 30,000 companies or email addresses in your CSV file. To use this targeting option, you can install the “LinkedIn Insight Tag” on any page whose visitors you wish to retarget. You can also target users based on different stages of your sales funnel. Say if someone visits your product pricing page, you can use a different set of ads to target these prospects. 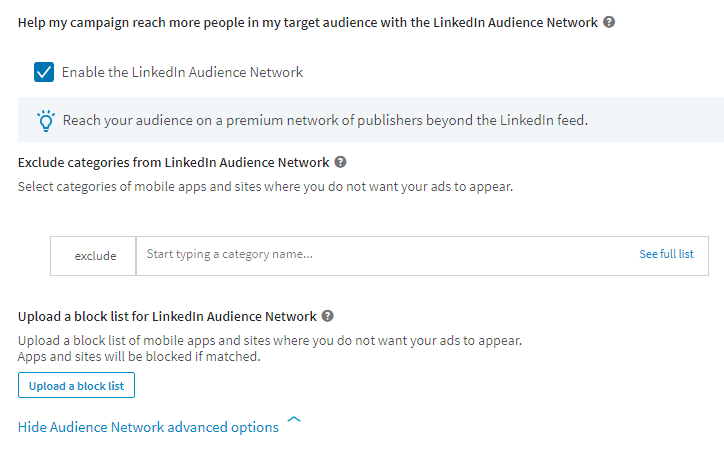 By default, the LinkedIn Audience Network is selected for each ad campaign where your audience can be targeted at online sites they visit frequently. This is one of the most powerful tools in LinkedIn advertising. 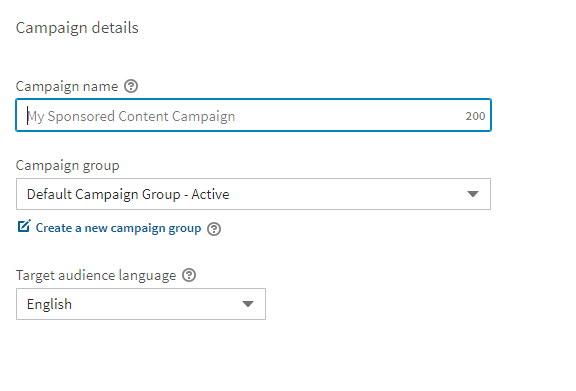 Another feature you can select is “Audience Expansion” through which LinkedIn helps you increase the reach of your campaign by showing your ads to people who are in a way look–alikes of your target audience. Select your bid amount and campaign duration. Choose INR if you wish to pay in Indian Rupees. HOW MUCH DO LINKEDIN ADS COST IN INDIA IN 2018? The minimum daily budget for any LinkedIn ad campaign is INR 500. Once the daily spending limit is reached, LinkedIn stops showing your ads. This budget does have a tendency to overshoot by 20%. When you enter a CPC bid amount manually, LinkedIn shows you a recommended bid amount and also a price range of what other advertisers are bidding. As per the LinkedIn Q1 reports from Adstage https://blog.adstage.io/2018/05/16/linkedin-ads-costs-q1-2018 the CTR (click- through- rate) for LinkedIn ads is about 0.13%. Once you set up your ad campaign, ensure you monitor your ad performance to optimize your campaigns to get maximum ROI. The CPC’s are much higher on LinkedIn as compared to other advertising platforms like Facebook and Twitter. In mail targeting might sometimes feel like spam to a lot of people. When you use matched audience for targeting, there is no way to understand how many contacts in your email list are available on LinkedIn. If someone has given you their work email and use their personal ID on LinkedIn, you will not get a match. It only states a percentage of accounts that have been matched. So, you cannot optimize your company or contact audience list through LinkedIn. LinkedIn ads have greatly improved since the Campaign manager was first launched. Initially, there were no proper options for targeting and no means to measure the quality score of the ad. To conclude, due to the high CPC’s of LinkedIn ads, one has to be skilled enough to extract a decent ROI from LinkedIn ads. While some didn’t succeed, some have seen great success in obtaining high-quality B2B leads which have further fuelled their growth. This article is an update to the previous article on LinkedIn ad rates in India.